B’ismi-Allah ar-Rahman ar-Rahim... Allah, who created me with His Names (exalted, magnificent, and perfect qualities), is Rahman and Rahim! Let us heed the fact that a ‘name’ is only used as a reference to an object or quality. A name does not explain what it references in totality, but merely alludes to an identity, or an attribute of an identity. Sometimes, a name is used only to channel the attention to multiple qualities, without revealing anything about the identity. In the case of the Names of Allah, let us contemplate the following: Are the Names of Allah a collection of fancy titles of a God beyond? Or, are they references made to the creational properties of Allah (which the senses and conditionings externalize!) with which the entire known cosmos and everything in it becomes manifest from nothingness into a shadow existence? Once this reality is fully conceived and comprehended we may move on to the Names of Allah. The Quran, which has been conveyed as a Dhikr, i.e. ‘the remembrance of man’s essential reality’, is actually a disclosure of the Names to expound ‘Uluhiyyah’. It is the Totality of the Names (all of the Names that have been imparted to us and that comprise our existence) that man has been endowed with and is invited to remember! Some of these have been disclosed in the Quran and some were revealed by the Rasul of Allah. One can never say that the names that refer to Allah are limited to only 99. Let us give an example... 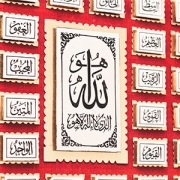 There are many names, such as Rabb, Mawla, Kareeb and Hallaq, that are mentioned in the Quran but are not included as part of the 99 Names. The name Mureed, which alludes to the attribute of ‘will’ (i.e. He does as He wishes) mentioned in the verse ‘yaf’alu ma yureed’, is also not included among the 99 Names. Contrarily, the names Jalil, Wajid and Majid are all included in the 99 Names but are not mentioned in the Quran. Thus, it would be a mistake to confine the Names of Allah to only 99, when the Dimension of the Names designates the infinite quantum potential, which involves the act of observing in Allah’s Knowledge. Man is provided with these Names as a reminder of their own true essence. Perhaps once one remembers and lives accordingly to their essential reality, many more Names will be disclosed to them. Also, we may say heaven alludes to this truth too, while we may not even be aware of the Names that pertain to and compose the universes within universes of infinite existence! The enlightened ones (Ulul Albab) have used the phrase ‘the shadow existence’ to mean ‘the things we perceive do not exist in and by themselves but they are compositions of Names that manifest according to the perceiver’. In fact, even the phrase ‘Name compositions’ is metaphorical; it is only to adapt the dual view to the One reality. Absolute reality is the observing of the ‘multidimensional single frame’ by the One who ‘manifests Himself every moment in yet another wondrous way’. (Quran 55:29) What we refer to as ‘Name compositions’ is only like one stroke of the paintbrush on this magnificent picture. Due to having a name all perceivable things seemingly have a separate individual existence, whereas, because there is no God beyond, what is really perceived as an existent object is essentially none other than the materialized Names (qualities) of Allah. This being said, the One denoted by the Names cannot be divided or fragmented into pieces, it is not composed of parts, it is even beyond concepts such as being ‘absolute One’, ‘illimitable’, ‘infinite’ and so on. It is ‘Ahad-us-Samad’ (the Absolute Self-Sufficient One) and only mentioned this way in the Quran once! Allah, HU, other than whom nothing exists! This knowledge cannot be comprehended by the human mind unless it is revealed or divinely inspired and observed in one’s consciousness! The mind, logic and judgment cannot survive here. He who attempts to intellectualize this reality will only be misguided. This reality is not open for debate! Any urge to do so will only reveal ignorance! This is the reality that pertains to Gabriel’s words: “If I take one more step I will burn”! It must be realized that the Names of Allah point to the quality of His knowledge, not His mind, as this is inconceivable. 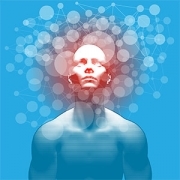 The mind is a function of the brain designed to create the world of multiplicity. 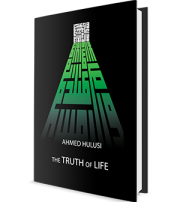 Essentially, even the phrases ‘the Universal Intellect’ (Aql-i kull) and ‘the First Intellect’ (Aql-i awwal) are relative concepts and are used metaphorically to denote the system by which the attribute of knowledge is disclosed. The Universal Intellect refers to the dimension of knowledge that is present within the depths of all beings, within one’s essence. This is also the source of revelation. The First Intellect, on the other hand, is a tailored phrase for the novice mind, to describe the dimension of knowledge present in the manifestation (sh’an) of the Names. ‘The dimension of Acts’ (af’al) is nothing but the disclosure of the Dimension of Names which ‘manifests itself every moment in yet another wondrous way’! The material world as we know it is this quantal plane, though differences of perception have led to the assumption that it is a different dimension. The observing One, the one being observed, the observation, are all ONE! ‘The wine of paradise’ alludes to this experience. One who is caught up in the perception of multiplicity has no chance but to engage in the chatter of this knowledge, without any experience of its reality. As for the Acts, activities, multiplicity and what we perceive as the corporeal world... Existence belongs only to that which is denoted as the Dimension of Names. ‘Observing knowledge in knowledge with knowledge’ designates that the very disclosure of the Names is the act of observing. In this respect, all forms are created and observed in knowledge. Hence it has been said ‘the worlds (or creation) have not even smelled the scent of existence yet’. Here, the part is the observer, and the whole is the observed one! The force (kuwwa) pertaining to the Names is referred to as angels, which, in essence, constitute the reality of mankind. One who becomes aware of their reality is said to have ‘united with their Rabb’! Once this state is reached, if it doesn’t continue, the resulting pain has been narrated as an intense hellish suffering! This is the domain of Power (Qudrah) and the command Be! (Kun) originates from here; this is the dimension of knowledge, where the mind and its functions are completely obsolete! This is the essence of the land of wisdom (hikmah)! The mind can only watch the activities that take place in the land of wisdom, where only consciousness can actively participate! The dimension of Acts (af’al) in comparison to this plane (the dimension of Power) is a totally holographic (shadow) state of existence. All the activities of the entire parallel and multiple universes and all their inhabitants, i.e. natural resources, plants, animals (humanoids) and the jinni, are governed by the Mala-i A’la (the Exalted Assembly of angels) in this plane, depending on the perception capability of the perceiver. Rasuls and their successors, the saints, are like the vocal expressions of the Mala-i A’la, that is, the forces (potentials) of the Names, on earth! And all of this is part of the observation taking place in the dimension of Knowledge! The essence of man, in this sense, is angelic and he is invited to remember his angelic nature and to live accordingly. This is an in-depth and intricate topic... Those who are not acquainted with this knowledge may find my words regarding the observation taking place from various dimensions to be contradictory. However, the reality I experienced when I was 21 years of age in 1966, which I have penned in my book Revelations, has been verified time and time again throughout the 45 years that followed it, and I have shared it all without expecting any tangible or intangible return. The knowledge I share is not a pass-down to me, rather it is the direct blessing of Allah for which I am eternally grateful! As such, there is no contradiction in my words. 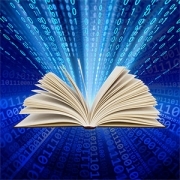 If it appears that way, it is probably due to the inability to make the correct connections, resulting from an inadequate database. So, if this is the reality as I have observed, how should the topic of the Names of Allah be approached? The Names of Allah are initially expressed through pure consciousness (revelation) without the interference of one’s consciousness, which tries to evaluate them later. The Names are cosmic universal qualities (not in the galactic sense). The Most Beautiful Names belong to Allah. The structural qualities they denote pertain to the Absolute Self-Sufficient One. The Names look to the quantum potential beyond time and place; the Names signify the point. As such, the Names and their meanings belong to Allah alone and are free from becoming conditioned by human concepts. That is, leave the company of those who restrict the Names with their humanly values, and fail to recognize the reality of the Beautiful Names and who do not know Allah is respect of His Akbariyyah! Allah’s Absolute Essence (dhat) cannot be likened to anything in existence. With His greatness (Akbariyyah) He is free from becoming limited or conditioned by His creation or the attributes denoted by His Names, which constitute one point amongst infinite others. In other words, what is referred to as the Dimension of Names is like a multidimensional holographic single frame. And, despite the fact that it is perceived as the realm of multiplicity, this realm of activity is essentially a unified field of existence created with the compositional qualities in His knowledge. The qualities and attributes that we have come to acquire through revelation as the Names of Allah (singular in nature) are the very structural compositions that manifest the totality of all the universal dimensions, from nothingness into this shadow (holographic) existence. This reality, of which earthly vicegerency aspires to become aware, is far beyond the reach of the cruel and ignorant. The Dimension of Names is the ‘exalted, magnificent, and perfect attributes and qualities’ with all its sub-dimensions and inner-existence! Let us now ponder on the world perceived by humanity... and then “raise our gaze to the heavens and observe” as the Quran states, without dogmatic views and bigotry, with the understanding of universality formed by proficient knowledge! What value does a world based on our miniscule perception have in comparison to the magnificence, glory and perfection of the universe? I hope, in the light of this understanding, we can approach the Names of Allah with the awareness that their revelation depends on the purging of the individual consciousness (based on its limited perception and conception of the Book of Knowledge) and that their effects pertain to the whole of the cosmos, constantly manifesting new meanings and expressions. I would also like to take this opportunity to express one of my concerns. 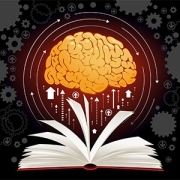 I do not feel the knowledge I shared through previous articles has been correctly understood. 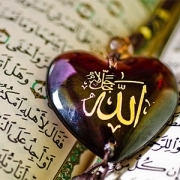 Let me restate that the meanings, qualities and attributes denoted by the Names of Allah are only one point among infinite others in the sight of Allah. Also, the quantum potential expressed as the Reality of Muhammad or the Angel named Spirit is not only pre- and post-eternal, but it is also the reality I refer to as the ‘multi-dimensional single frame’ picture! Because this has not been well understood, Allah is still perceived as the one God out there! Whereas the whole observation and all that has been articulated pertain only to a point: Allah is just Allah, Allah is Akbar! Subhanahu min tanzihiy (HU is beyond comparability)! Please be aware that what I write and share with you can never be taken as the final conclusion; in fact, it can only be an introduction! It is not possible to openly disclose through publication matters that are deeper than this. Anyway, the people of this path will recognize that even what we have already shared are things that have never been shared in this much detail and this openly before. This is a very sensitive topic as the reader may very easily fall into the misconception of either an external God or worse, confine the reality to his Pharaoh-like ‘I’ness and animalistic bodily self! All of the qualities and attributes pertaining to the Names are entirely present at every point of existence! However, depending on the desired manifestation, some attributes gain precedence over others, like the channels in an equalizer, to make up the specific formation. Also, qualities denoted by certain Names naturally and automatically trigger the expressions of certain other Names, in order to generate a new manifestation. This system is known as ‘sunnatullah’ and entails the universal laws of Allah (or the laws of nature as those with limited perceptive ability would say) and the mechanics of His system. 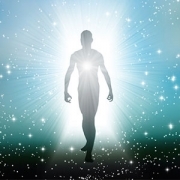 This is a glorious mechanism beyond description; all beings from pre-eternity to post-eternity subsist with all their inter and inner dimensions and perceivable units within this system! 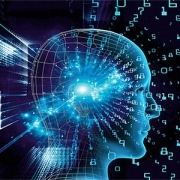 All thoughts and activities projecting from consciousness, whether through the universe or a single person’s world, are all formed within and according to this system. In short, we may refer to this mechanism, where qualities of Names trigger one another, as the trigger system. As I warned above, consider the entire universality of existence (which is ONE by essence) as the plane of manifestation of these Names. The trigger system applies to every instance of perception by a perceiver in every plane of existence within this universality. Since the entire sequence of certain qualities triggering other qualities is a known, it is said that the pre- and post-eternal knowledge of everything that has and will happen at all times is present in Allah’s knowledge! Evidently, the consequence of an action or thought is inevitably experienced within this system. This is why every thought or action of gratitude or ungratefulness we may have output in the past would have most definitely caught up with us, or is bound to in the future. If one seriously contemplates on this many doors will open and secrets will reveal themselves. The mystery of fate is also pertinent to this mechanism! ALLAH... Such a name... It points to Uluhiyyah! Uluhiyyah encompasses two realities. HU which denotes Absolute Essence (dhat) and the realm of infinite points in which every single point is formed by the act of observing knowledge through knowledge. This act of observing is such that each point signifies an individual composition of Names. By respect of His absolute essence, Allah is other than, but in terms of His Names, Allah is the same as the engendered existence (sh’ay) yet nevertheless far and beyond (Ghani) from the worlds and any similitude! This is why Allah, who created the engendered existence (sh’ay) and the acts with His Names, uses the plural pronoun ‘We’ in the Quran. For, in essence, the engendered existence (everything in creation) is none other than Allah! Please note that by engendered existence (sh’ay) we are referring to the Dimension of Names that constitute existence. One can ponder and contemplate the essence of creation and existence, but one cannot contemplate the Absolute Essence of Allah. It is inconceivable and inappropriate; indeed, it is absolutely impossible! This is because one that has been created with the expressions of Allah’s Names cannot fully comprehend the Absolute Essence of Allah! Even if this knowledge is revealed by divine inspiration – which is impossible – it is inconceivable. This is why it is said ‘the path of such pursuit ends in nothingness’. HU’Allahulladhiy la ilaha illa HU! Whether via revelation or through consciousness, HU is the inner essence of the reality of everything that is perceived... To such extent that, as the reflection of Akbariyyah, first awe then nothingness is experienced and, as such, the Reality of Hu can never be attained! Sight cannot reach HU! HU denotes absolute obscurity and incomprehension! 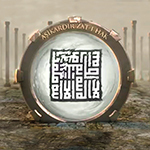 As a matter of fact, all names, including Allah are mentioned in connection with HU in the Quran! The Absolute Judge whose judgment (verdict) is irresistibly applied. The One who provides each of His manifestations their due right in consonance with their creation program. The One who is absolutely free from unjustness or tyranny. The One who is subtly present in the depths of every manifestation. The One whose favors are plentiful. The One who is aware of the manifestations of His Names at all times. The One who allows his manifestations to discern the level of their comprehension via their outputs. The One who refrains from giving sudden (impulsive) reactions to events, but rather evaluates all situations in respect of their purpose of manifestation. The magnificent glory beyond any manifestation’s capacity of comprehension. The One who’s Mercy should never be doubted or given up on. The One who enables necessary cleansing and triggers the name Rahim to bestow blessings. The One who allows the proper use of His bestowals in order that He may increase them. The One who enables the due evaluation of resources such that more can be attained. This name triggers the name al-Karim. 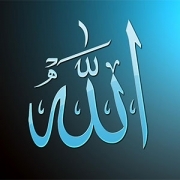 If this name is not activated in one’s life, one will be obstructed from a connection with Allah and not able to duly use his resources, turning his attention to other things and hence becoming veiled from the blessings of Allah. This leads to ‘ungratefulness’, which is defined as the inability to adequately evaluate and use blessings. Eventually this results in total deprivation. The Highest (or the Sublime). The sublime One who observes existence from the point of reality (essence). The magnitude of the worlds He created with His Names are incomprehensible. The One who provides all requirements to preserve and maintain existence. The One who facilitates the expression of the Name al-Hafiz by providing the necessary material and spiritual platform for it. In doing so, an indefinite flow of formation is established. The One who, with His magnificent comprehensiveness and perfection, is the sultan of the world of acts. The exceedingly generous and bountiful One who bestows His bounties even upon those who deny His existence. The ability to READ (iqra) is only possible through the activation of this Name, which lies dormant within the essence of every individual. The One who watches over and keeps under control the manifestations of His Names, with His names, at all times. The One who unequivocally responds to all who turn towards Him (in prayer and invocation) and provides their needs. The All-embracing. The One who embraces the whole of existence with the expressions of His Names. The One whose power of knowledge appears under the guise of ‘causes’, hence creating causality and leading to the perception of multiplicity. The creator of attraction. The creator of unconditional and unrequited love. The essence within every beloved! The compassionate and pitying One who protects individuals who turn to Him from all kinds of behavior which may cause harm or trouble to them. The One who governs His Sovereignty as He wishes without having to give account to any individual. The One who makes individuals experience their ‘nothingness’ by enabling them to comprehend the reality that they were created from ‘naught’ and then bestowing them ‘Eternity’ by allowing them to observe the manifestations of the Names comprising their essence. The One who applies justice, as the requirement of His Uluhiyya, by endowing every individual their due, based on their unique creation purpose. The One who observes the whole of existence as a multi-dimensional single frame in His Knowledge. The One who gathers creation according to the purpose and function of their creation. The One who is beyond being labeled and limited by the manifestations of His Names, as He is Great (Akbar) and beyond all concepts. The One who is infinitely abundant with His Names. The One who enriches individuals and raises them above others in wealth and emancipates them. The One who enriches with His own riches. The One who grants the beauty of infinity (baqa) which results from ‘fakr’ (nothingness). The One who prevents those from attaining things they do not deserve! The One who afflicts individuals with various distressing situations (sickness, suffering, trouble) in order to make them turn to Himself! The One who prompts individuals to engage in good thoughts and actions to aid them towards beneficent and auspicious outcomes. The Knowledge that is the source and essence of everything! The essence of everything is Nur; everything is comprised of knowledge. Life subsists with knowledge. Those with knowledge are the ever-living ones (Hayy), while those who lack knowledge are like living dead. The guide to the truth. The One who allows individuals to live according to their reality. The articulator of the truth. The guide to reality. The incomparable beauty and the originator of beautiful manifestation! The One who originates innumerable manifestations, all with unique and exclusive qualities, and without any example, pattern, specimen etc. The Everlasting. The One who exists beyond the concept of time. The One who manifests under various names and forms in order to inherit and protect the possessions of those who abandon all their belongings to undergo true transformation. When one form is exhausted, He continues His existence with another form. The guider to the right path. The One who allows individuals, who recognize their essential reality, to experience the maturity of this recognition! The One who waits for each individual to execute his creation program before rendering effective the consequences of their actions. Allowing the tyranny of the tyrant to take place, i.e. activating the Name as-Sabur, is so that both the oppressor and the oppressed can duly carry out their functions before facing the consequences in full effect. Greater calamity forces the creation of increased cruelty. Obviously the meanings of the Names of Allah cannot be confined to such a narrow scope. This is why I refrained from going into this topic for many years. For I know it is impossible to duly cover the comprehensiveness of this topic. However, my own experience of the reflections of this knowledge has compelled me to cover this topic to some extent. I ask Allah’s forgiveness. Many books have been written in this field. I only touched upon it based on my understanding today and in a way that is easy to remember. Perhaps I have unveiled only the tip of the iceberg! Everything that I have shared with you here must be observed and experienced within one’s consciousness, after becoming cleansed from the restraints of the illusory identity (‘I’ness) and the density of the bodily state of existence. 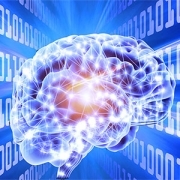 If this cleansing involves the automated repetitions of certain words and phrases without experiential confirmation, the results will be no different from a computer running a program, and hence, ineffective. Sufism is a way of life! Those who narrate and repeat the words of others (hence gossip!) squander their lives, finding solace in Satan’s adorned and embellished games! The evidence of having attained the reality of this knowledge is the end of suffering! That is, if you are no longer bothered or troubled by anything or anyone, if no situation or person can upset you anymore, it means this knowledge has become your reality! As long as one is bound by value judgments attached to conditionings and lives his life centered around emotions and behaviors resulting from these, his life will continue and mature as an ‘earthling’ (not a human) and be subject to ‘causality’, both here and in the afterlife. A special thank you to the honorable imam of Istanbul Kanlica Mosque, Hasan Guler Hodja, a venerable scholar and an exemplary man of knowledge, for sharing his valuable insight with me and for assisting me with ‘Decoding The Quran’. 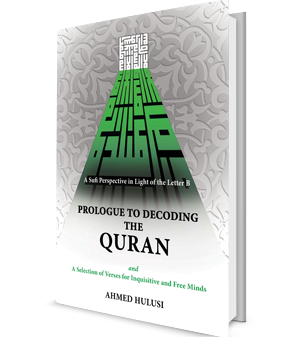 This article is an excerpt from Prologue to Decoding the Quran. Click to read it online!